Google has a big stake in ensuring that your website is up to current standards. Google search indexes web pages to make it available to those looking for information. In order to do that well, they want your website to be mobile friendly to begin with, among other things. So Google has multiple tools and services for small businesses to take advantage of. Why shouldn’t you make use of them to create a good website or improve your existing website? 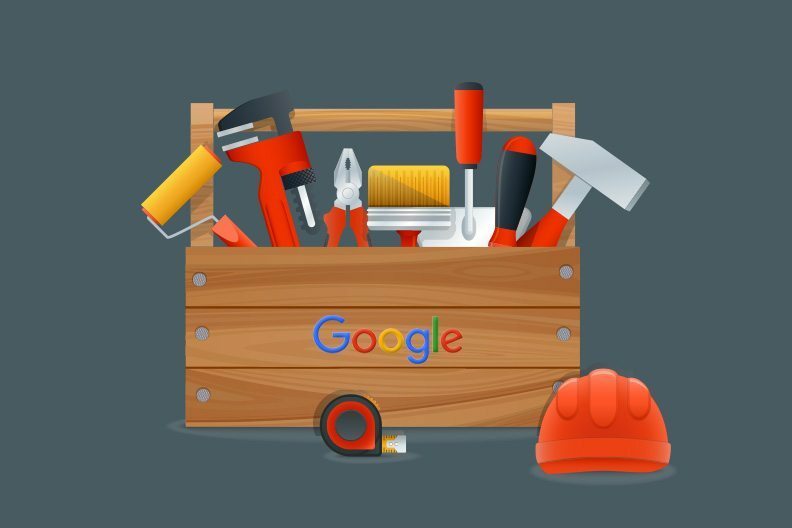 Google Webmaster Tools help you gauge the performance of your website, as it cooperates with webmasters to give you a detailed report. The tool reports how your website’s daily performance, broken links, and if the website has been infected by malwares. This free tool will allow you to check the website’s visibility and indexing status. Google Webmaster Tools also lets you submit the website sitemap to Google. The tool will relay information about common keywords used in your web pages, after Google has crawled your site. This helps in gaining insights into the kind of keywords that will help your page rank higher on Google, and to make improvements in your keyword research approach. Use this tool to ensure your website is readable and visible to Google. With a website up and running, you would want to know how many people are visiting it and what are they reading. Google Analytics help you gain important information such as the search results visitors use to get to your page, the amount of visitors you’re getting, their traffic sources (channels, referrals, etc. ), and their conversion rate. This kind of insight tells you which pages are being visited more than others, and how much time are visitors spending on your website. Using this tool you can attain real-time data, create new segments to see data based on certain criteria such as search traffic, mobile traffic, alerts on events, and so on. If you have a Google account, sign up for Google Analytics and add your website to it. Once you generate the code, you can insert it into your WordPress site using the Google Analytics for WordPress plugin. 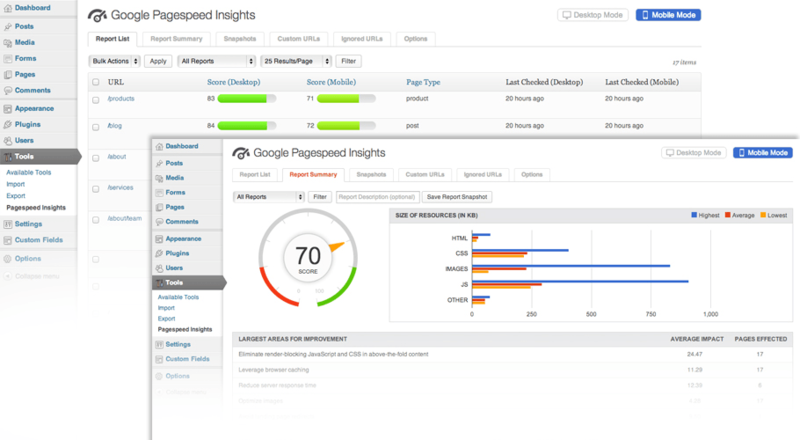 Google PageSpeed Insight lets you measure the performance of a page of your website, on both mobile and desktop devices. It measures your website, using its PageSpeed insight rules, to ascertain if your page adheres to the rules and what changes/ improvements can be taken by you to attain a “good” PageSpeed insight ranking. Google PageSpeed Insight aims to increase the user-experience, and the optimization recommendations that they offer come from inputs from various developers and blogs online, as well as from Google developers. You can install this WordPress plugin that integrates Google PageSpeed Insights tool into your website or go here and enter your website URL. This Google tool will scan all the pages for performance and give you recommendations for optimization. Website performance affects sales and search ranking, so it pays to spend some time optimizing your WordPress website. With Google Trends, you can find out when a particular search keywords is gaining interest or is trending, and can compare the popularity between different search topics. 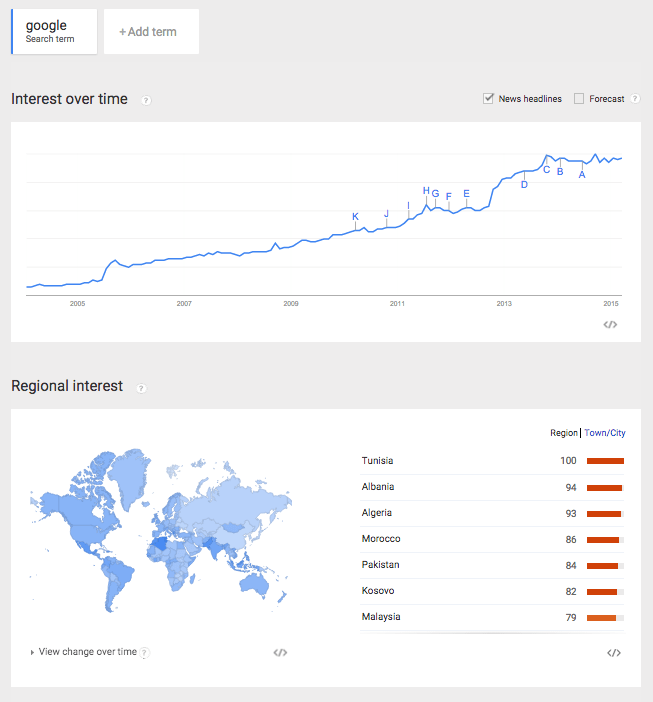 This tool shows how frequently a particular topic was searched, as compared to the total search volume. You can get real-time information on Google trends, which is quite beneficial if you are a journalist or marketer, looking for trending search items, across regions and languages. As an SEO writer, you can use Google Trends to find the most popular phrases people are searching for on Google, to integrate important information into your content. You can view the history of a particular search topic, starting from 2004, to understand surges and trending nature of search queries. You can capitalize on real-time news, to make your content and ad campaigns attain more traffic. Google AdWords keyword planner is a free AdWords tool, used by advertisers for conducting SEO campaigns. This tool can be used for researching keywords, and also to avail predicted clicks, estimated conversions for forecast on how keywords would perform in a campaign, and search volume statistics, so that you can plan which keywords to use for existing and new campaigns. You can search for long-tail or/and short-tail keywords. You may also combine a set of keywords by making lists, to get forecasts and historical statistics. Keywords is essential for Search Engine Optimization, and with keyword planner, is has become easy to do country-to-country targeting of keywords for ad group ideas. Google AdWords Keyword planner combines parts of the tools Google Keyword Tool and AdWords Traffic Estimator. Even if you’re not planning on spending on Google Ads, sign up for a free account and use the keyword planner tool. For customizing your search, you would be required to provide certain inputs such a budget, bid, and location to receive estimates of clicks, impressions, average position and cost. Why create content on your website with limited amount of fonts, when you can get an array of designer web fonts at your disposal? With Google fonts, you can filter fonts on the basis of categories such as sorting, languages, styles, thickness, slant and width. It is, no doubt, a helpful tool as you can review your sample copy by trying out various fonts. 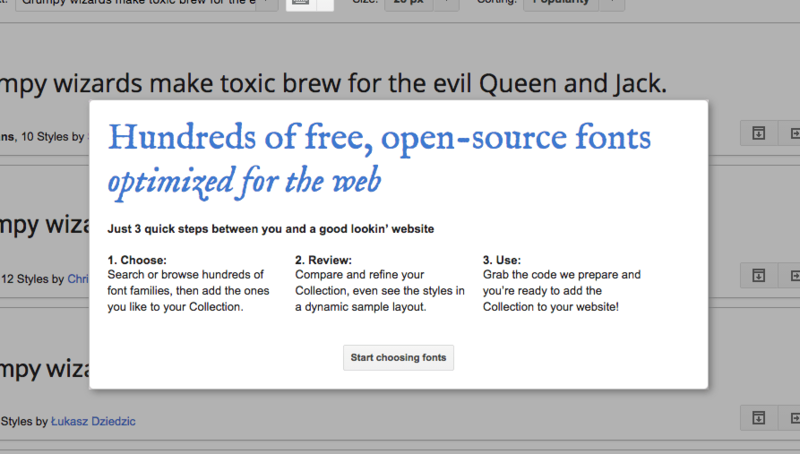 With Google Fonts, make sure all your design ventures have uniform attractive fonts! If you haven’t heard of responsive design yet, let Google tell you how much it’s costing you in terms of missed opportunities. 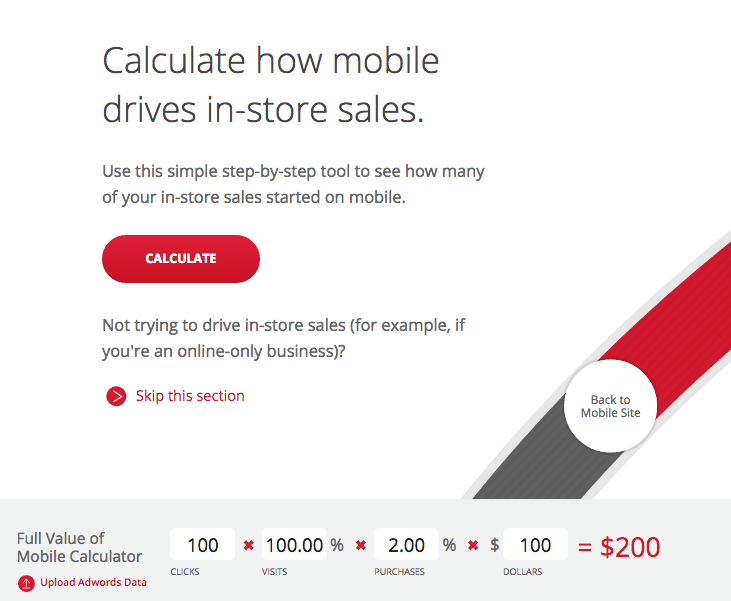 According to Google, Full Value of Mobile allows to make use of a calculator tool, videos that illustrate each mobile conversion path, case studies highlighting successful mobile strategies and tips for measurement. Google Optimize is a free A/B testing, multivariate and redirect testing tool, which is integrated with the tool Google Analytics. Optimize makes use of information collected by Analytics for testing your web pages. The tool is used by marketers to increase the user-experience and pageviews of their websites. According to Google, Optimize is increasingly useful for small to medium organizations, who do not have the budget/team resources to spend on enterprise-level testing solutions. 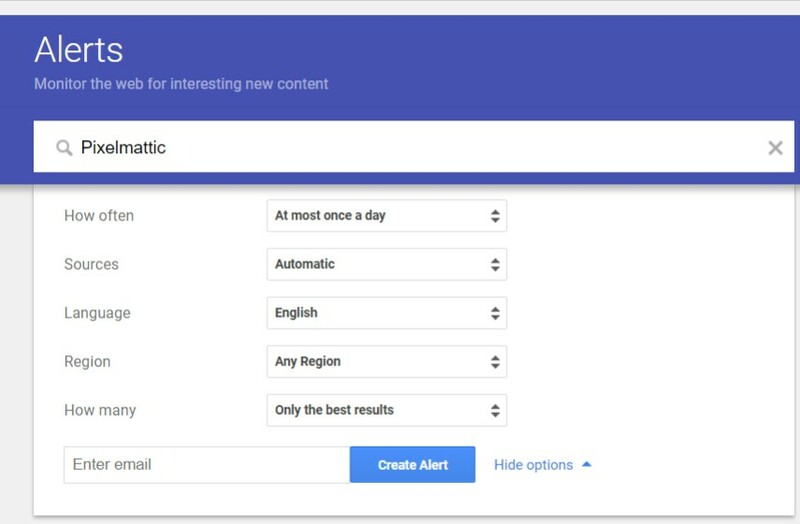 With Google Alerts, you can keep yourself alert of the latest news, and mentions of your chosen keywords in Google search. You can receive alerts on the searches provided by you, with the search engine results being delivered to your e-mail account. 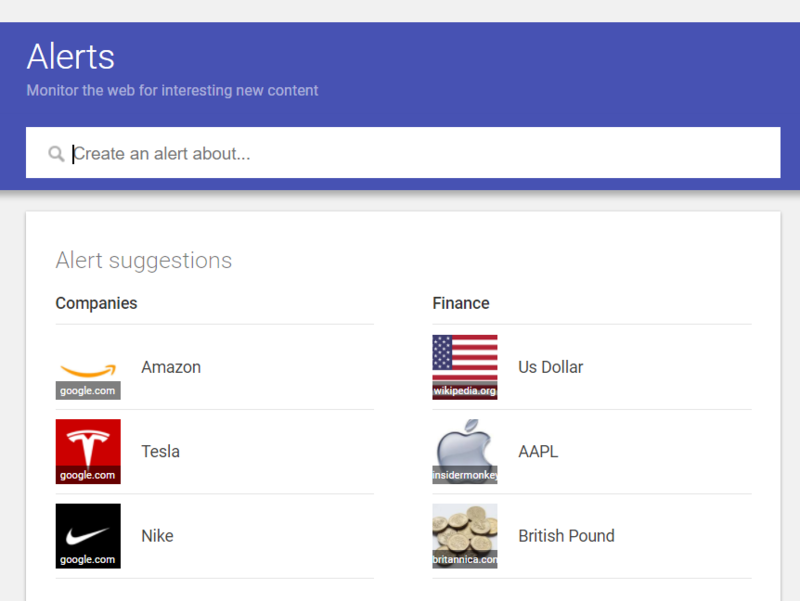 You can track when a particular brand or when a particular keyword gets mentioned in the news. As a business owner, this tool is quite beneficial to you as you can be sure to stay updated on news about brands or keywords, without having to spend time in searching for the items. You can decide what type of information you want delivered, the language, the geographical area, quality of the search and also how frequently you’d like the information to be delivered to you. When you decide to run marketing campaigns, a lot of the times you need to tracker code to your website to track the leads. Google Tag Manager makes the addition of this code a breeze, as you won’t have to add or maintain snippets of code directly on your files. Google Tag Manager maintains tags for multiple websites, and replaces tags for other Google tools, so you no longer have to manually insert tags. Tags help the visitor understand the content better, as it groups related posts, for a better navigation across your website. Let us know your feedback and suggestion about our list. Have we missed out on an important Google tool? If yes, then do comment below! Follow us on Facebook and do check out our previous blogpost.